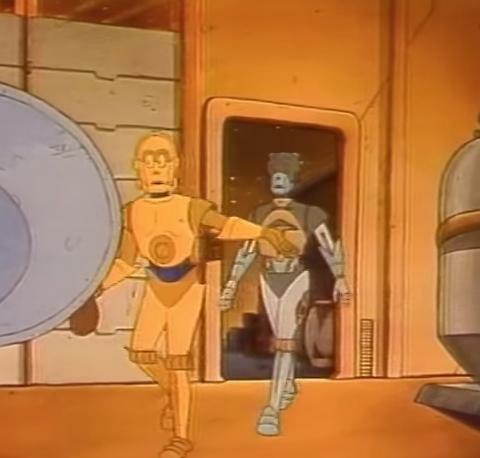 C-3PO was made in a factory, as he states in “A Race to the Finish”: “It turns out that BL-17 and I graduated from the same production facility.” He also states in “The Roon Games: “I should never have left the assembly line.” Of course, once we see Anakin creating C-3PO in Episode I, that becomes C-3PO’s origin and not a production facility. 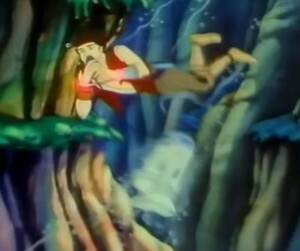 R2-D2 not only can survive underwater, but he even has a propeller as well as a breathing apparatus for people to use as we see in “The Pirates of Tarnoonga”. “I’ve got a bad feeling about this” is said just once throughout the entire series: by C-3PO in “Escape Into Terror”. 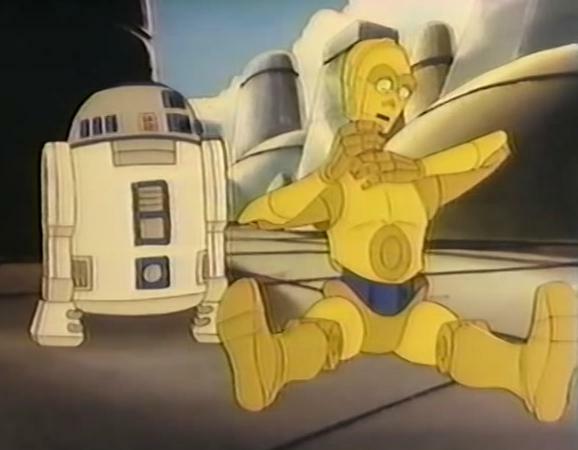 When C-3PO lands awkwardly, he occasionally gets bent out of shape, for instance, with a walking issue (“The Pirates of Tarnoonga”) or a neck issue (“Coby and the Starhunters”). C-3PO consistently bungles things up, while R2-D2 saves them. – We see a couple of the bounty hunters from episode V: Boba Fett in “A Race to the Finish” and IG-88 in “The New King”.